Chelmarsh is a village and civil parish in the beautiful English county of Shropshire. It lies 4 miles south of Bridgnorth on the B4555 road to Highley. The main activities are farming and tourism. It has a population of about 500 people, with an lively and friendly group based around the Parish Hall. Various activities are based here. The main feature of the village is St. Peter’s Church. This is a fine example of the Decorated style, built on the site of a Norman Church,and parts of the original building can still be seen. Of particular interest is the wooden archway built in front of the altar and choir, with carvings by local craftsmen. Other notable buildings include Chelmarsh Hall, near the church, and the former Chelmarsh Church of England Primary School built in 1850 which closed its curriculum doors in July 2002. The building has since been converted into a dwelling. It has one pub in the main village: The Bulls Head, which offers real ales, good food and accommodation. 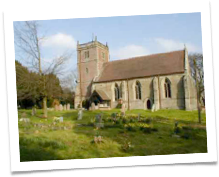 Chelmarsh is also home to Chelmarsh Sports & Social Club and Chelmarsh Parish Hall. The Unicorn pub is in the hamlet of Hampton, by the river Severn. This is close to the steam preservation railway line, the Severn Valley Railway, which has a station in Hampton. The passenger ferry across to Hampton Loade is currently not operating. 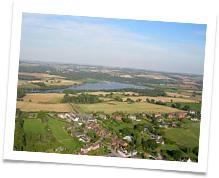 Chelmarsh Reservoir attracts many species of wild birds, and there are two public bird hides near the ‘scrape’. The reservoir is home to an enthusiastic sailing club whose refurbished facilities were opened by the Princess Anne in 2004. Chelmarsh Sailing Club encourages people of all ages to learn to sail, with an expanding fleet of modern sailing boats which are suitable for people of all ages and abilities. It has arguably the best sailing facilities within 50 miles range. The Astbury Golf Course is nearby, but is now closed for redevelopment until 2019!